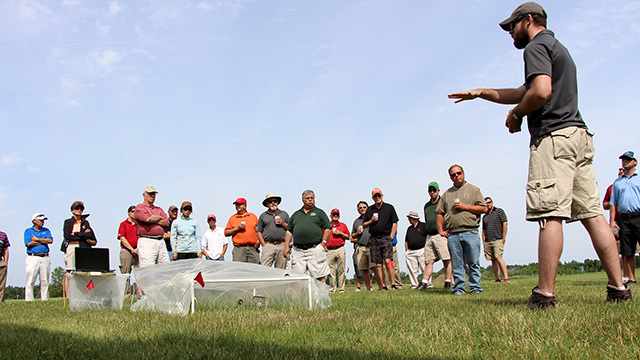 More than 40 golf course superintendents and other turf professionals spent the morning on Thursday learning about the latest turfgrass research taking place at the Bluegrass Lane Turf and Landscape Research Facility adjacent to the Robert Trent Jones golf course northeast of campus. Horticulture graduate student Grant Thompson explains his research using 13C carbon dioxide to label grasses, which he will clip and return to lawns to study the fate of carbon in different urban soils. 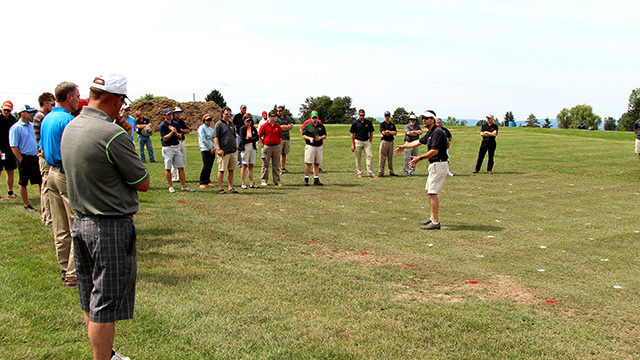 Associate professor Frank Rossi explains how overseeding overused athletic fields can help maintain safe playing conditions. 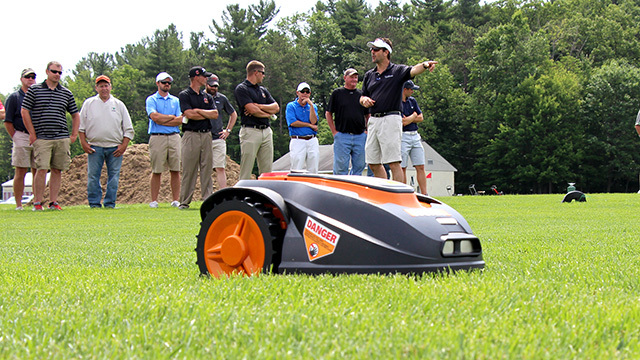 Rossi discusses a new collaboration with Consumer Reports to evaluate robotic lawn mowers.